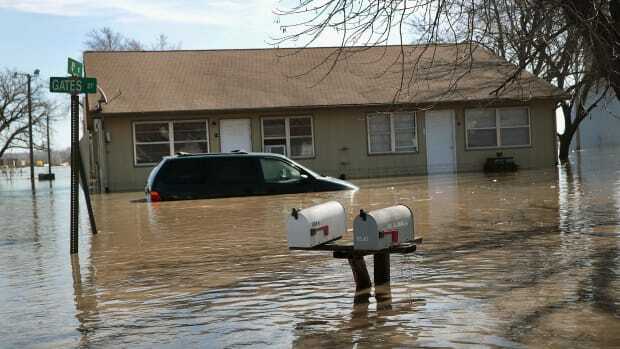 Following a bomb cyclone that dumped rain and melted snow across the Midwest, many sates—Iowa, Missouri, and Nebraska, especially—have experienced flooding. 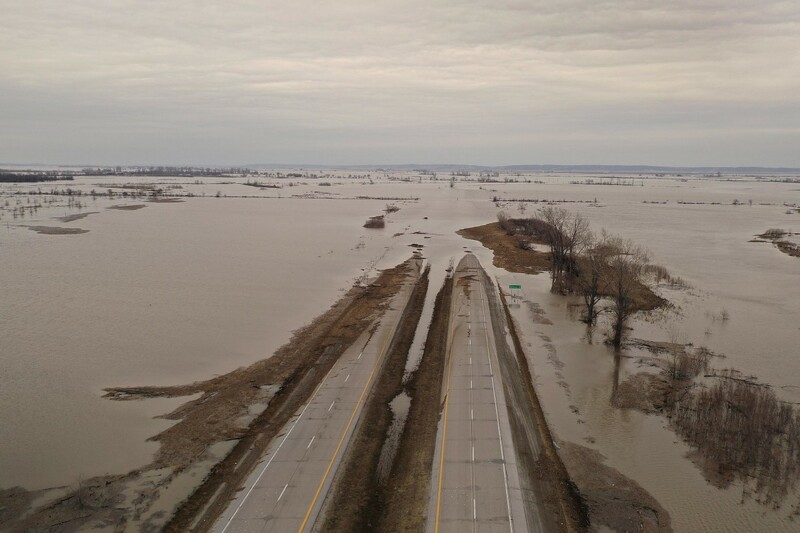 Pictured here, floodwater covers Highway 2 on March 23rd, 2019, near Sidney, Iowa. Viewfinder is Pacific Standard&apos;s daily photo feature, showcasing one image from the news. Indonesians watch as rescue workers dig through rubble looking for victims of the recent flash floods on March 19th, 2019, in Sentani, West Papua province, Indonesia. 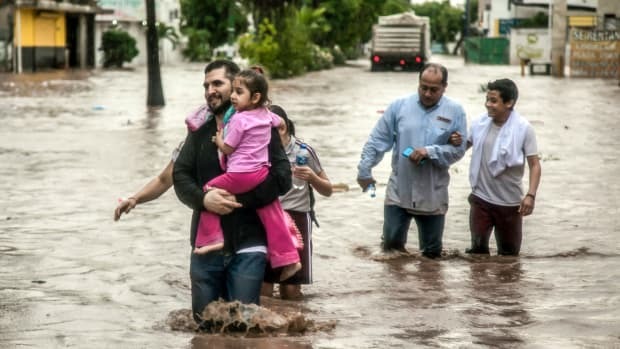 People wade through a flooded street in the city of Culiacán, in Sinaloa State, Mexico, on September 20th, 2018. 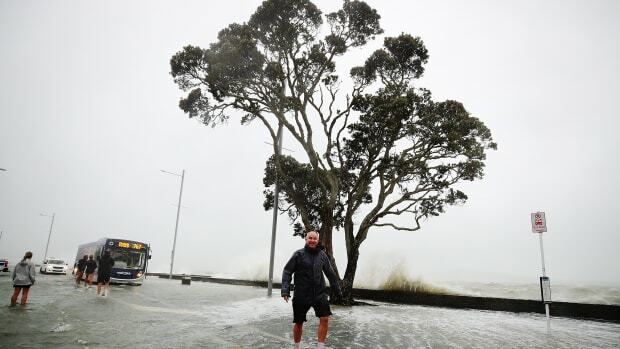 A man walks in the middle of a flooded waterfront on January 5th, 2018, in Auckland, New Zealand. The storm will affect communities across several regions that are still struggling to recover from March's bomb cyclone. 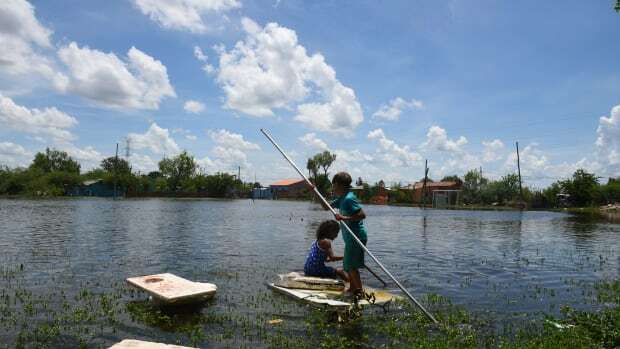 Children play in an Asunción neighborhood on January 22nd, 2018, that was flooded when the Paraguay River overflowed its banks due to heavy rains. 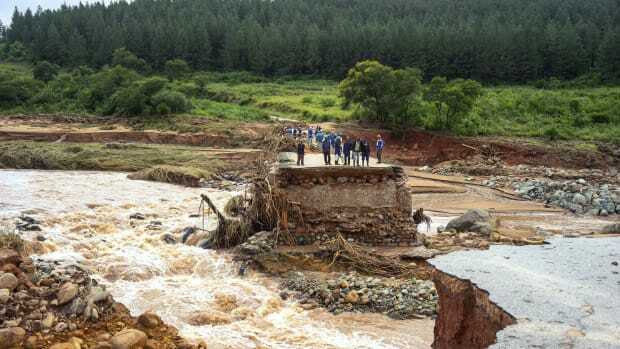 Timber company workers stand stranded on a damaged road on March 18th, 2019, at Charter Estate, in Chimanimani, eastern Zimbabwe, after Cyclone Idai ripped across Mozambique, Zimbabwe, and Malawi.